Back to the birthday posts! 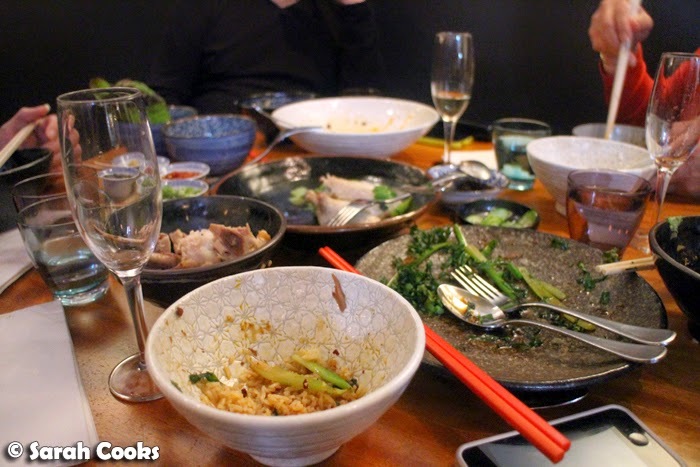 Dinner on my actual birthday day was with my family at Lee Ho Fook in Collingwood. "At Lee Ho Fook in Collingwood. Mum keeps saying must bring Sarah here." Whaaat?! 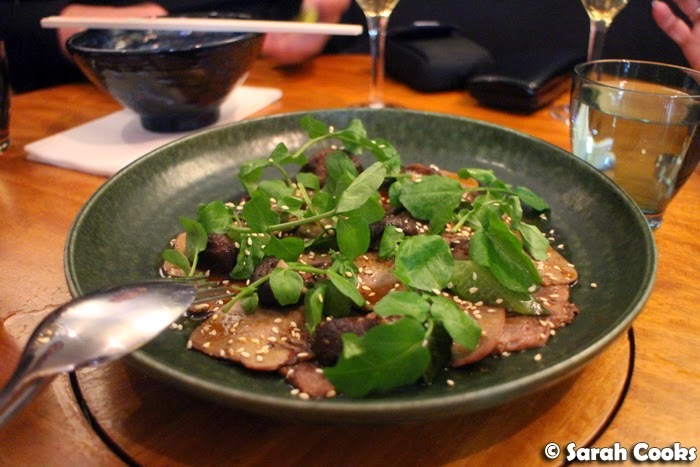 I felt very #failfoodblogger when I realised my parents had been to one of Melbourne's hottest new restaurants before I did! Apparently mum had read about it in the paper and thought it looked good. Or as she would say: "Hey-a Freddie, this place can go!" Dad Googled it, saw "all these great reviews", and off they went! They totally loved it! 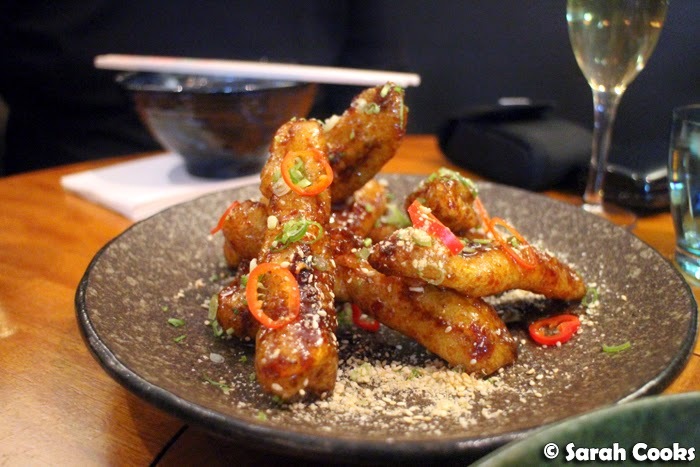 And if Asian parents like a restaurant, particularly a new-fangled modern-Chinese one in a hipster suburb, you know that the food is going to be good, and that it will be good value for money. I knew it would be a safe bet for my birthday! Before I get into describing the food we had that evening, I'll just say quickly regarding the service: they take bookings, the waitstaff were friendly and the food came out quickly. It was all good - hooray! Prior to the dinner, I'd spent sometime perusing the menu online, trying to decide what wine to order. (Yes yes, I'm a dork). We didn't end up ordering any wine, however, because my dad surprised me by bringing along a bottle of Dom Pérignon! Woah! (Sorry I don't remember how much corkage was, but it was reasonable). Ok, food time! Between the five of us, we ordered three medium dishes and three large, with a vegetable side. Normally I think this would be too much food for five people, but my brother was with us that night and he has a Big Appetite! In this dish, the beef shin and ox tongue were sliced very finely, and drizzled with a subtle Sichuan sauce. (I'm thinking at least soy sauce, sesame oil, finely ground Sichuan pepper). It was served cold, and all the meat was meltingly soft and tender. Delicious. The highlight of the evening was undoubtedly the crispy eggplant. Batons of eggplant had been lightly battered and deep fried to crispy perfection, before being lightly coated in a spicy red vinegar sauce. Crisp, hot, spicy, sweet, sour, amazing. Order two of these! 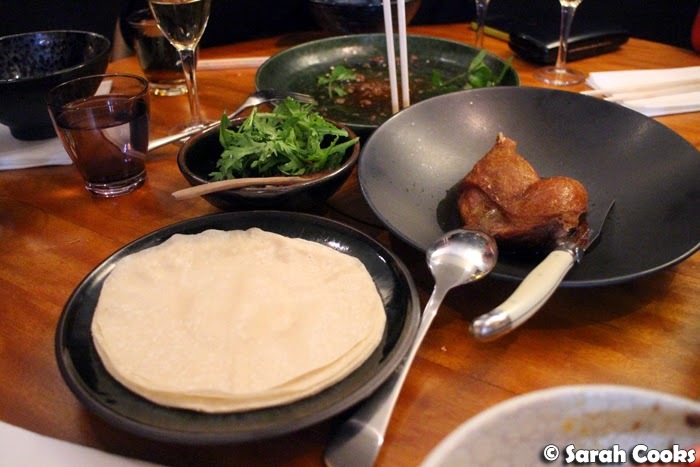 The triple-cooked duck was a good dish, with the duck being both crisp and tender, but I found it a little plain and it didn't wow me like the first two dishes had. 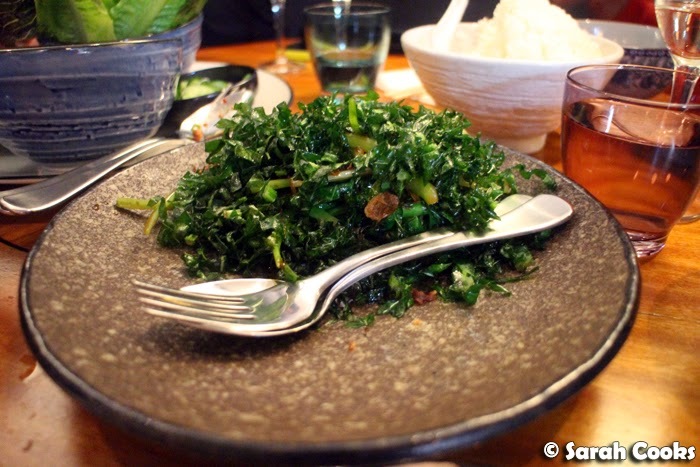 At first, I thought the gai laan (Chinese broccoli) was going to be stir-fried, like it said on the menu, but it was actually thinly sliced and deep-fried. DEEP FRIED! All the leaves had gone crispy and delicious in the hot oil - fabulous. 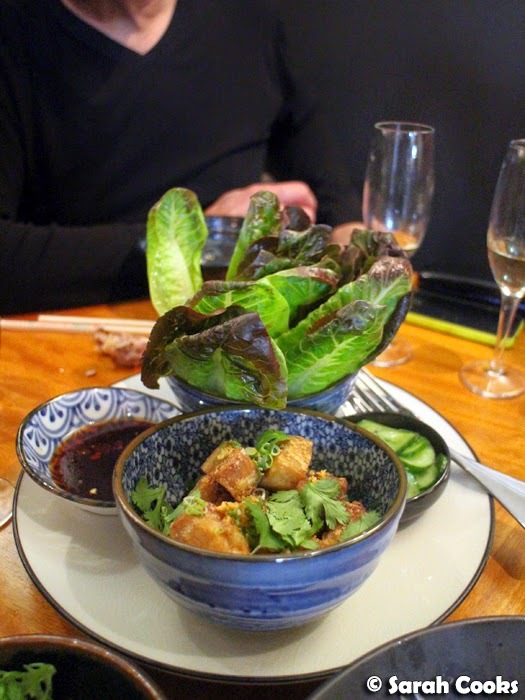 The pork hock was served in little crispy boneless cubes, with condiments on the side for a kinda DIY lettuce wrap. I liked the addition of the sharp, crunchy and refreshing condiments to lighten up what could have otherwise been a heavy dish. The Moreton bay bugs in chilli oil were seriously hot. 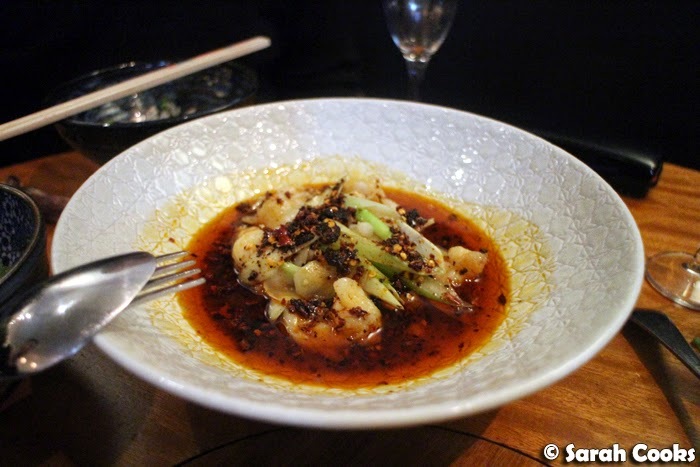 I loved the fresh, delicate seafood against the powerfully flavoured chilli oil. We had cupcakes waiting at home, so decided to skip dessert. Although just FYI, I went through my dad's Facebook photos, and on a previous visit he tried the jasmine tea infused custard burnt caramel. His opinion? "This rates an OMG!!!!!!!!!! Just my kind of thing to wind up a delightful dinner." Lee Ho Fook was really excellent and despite my preconceptions (prejudices? ), it had a chilled, relaxed atmosphere with friendly service. I'm sorry I waited so long to visit! How funny that your parents had visited first. I would be shocked if my parents did that but like yours sound, they're hard to impress so it would have to be good if they liked it! Unlike Lorraine, my parents always eat at fancy/fancier restaurant before I/than I do. Also, I fricking adore your dad for saying "OMG!!!" I'd die laughing if my dad said that. 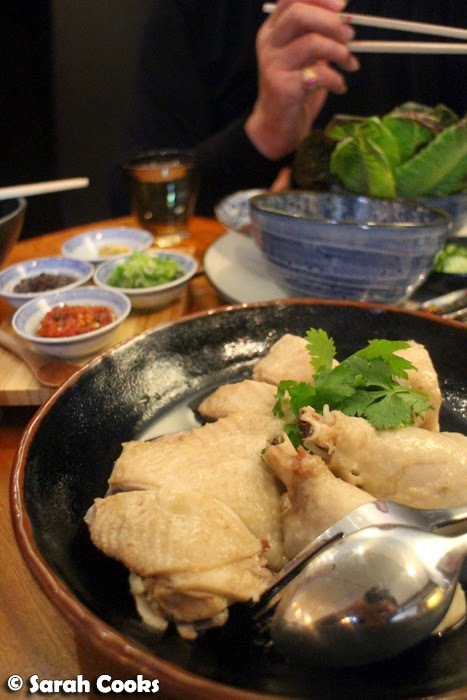 how good is that fish-fragrant eggplant? I wasn't gonna be impressed by LHF but turned out to be really good! will you be interested in Sichuan dinner one night? Haha your parents are awesome :) And how amazing is that eggplant?! I've read a bit about Lee Ho Fook - I must try it! I love how social media savvy your parents seem as well, I can't imagine my dad EVER having a Facebook account or knowing how to Google reviews of a restaurant!